As the end of winter approaches, the large amount of snow that accumulated on the other side of the driveway shrunk down to just a dirty snow patch. 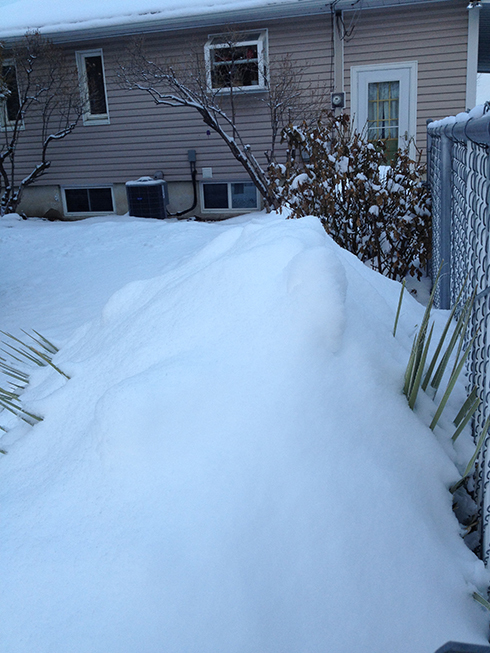 See… that’s a LOT of snow we got. That pile got added to weekly. So you can imagine my excitement when I start seeing these snow mounds get smaller and the temperatures getting warmer. Which means… winter will be officially over in a week. BUT… there will be a spring snow that sticks around for maybe a couple of days. And that’s something I can deal with. Even the thought that snow falls every so often on Memorial Day. That’s kind of fucked up, but hey… I live in the mountains. And I can go further south to where there’s no snow at all. Are you excited for winter to be over? Well, I’m kind of excited, but since I live in the Northwest winter just means rain so … I am looking forward to drying out, does that count? I would rather have rain than snow, although the wet all the time thing would get old, too. If it snowed just a little at a time, I would be more tolerant of the snow. But when it dumps 2 ft in one day then does it again for the next few days, I get tired of it. Ah right, so that’s what snow looks like. Yep. You get to see clean snow and dirty snow, all in one blog post. 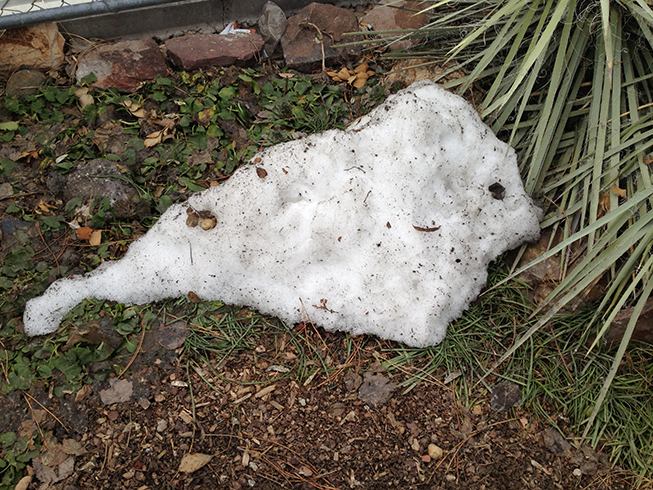 Once the temps keep getting warmer, the snow keeps melting.